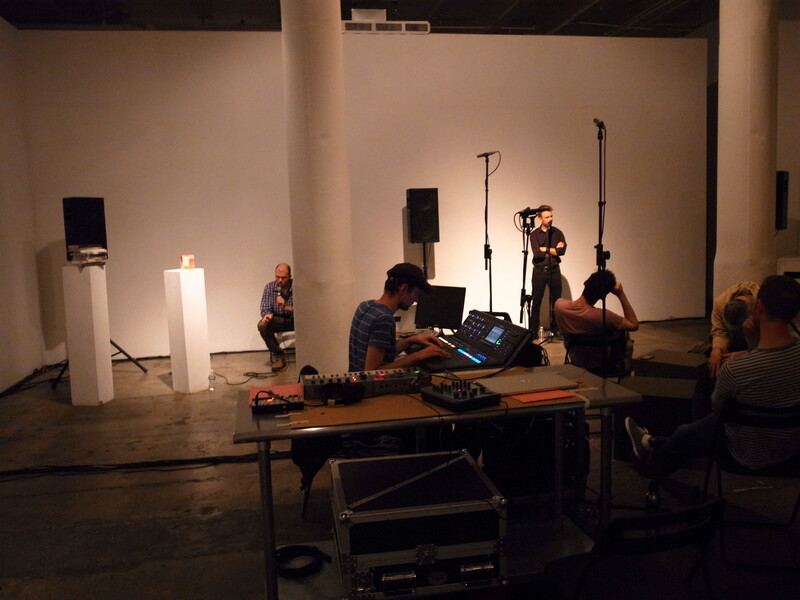 For two weeks, from August 16th to the 31st of 2015, CT::SWaM and the Fridman Gallery collaborated to turn the gallery into a Temporary multi-channel sound studio. will be performing selected pieces of her new album Campo Cercano, adapted to the eight channel soundsystem. 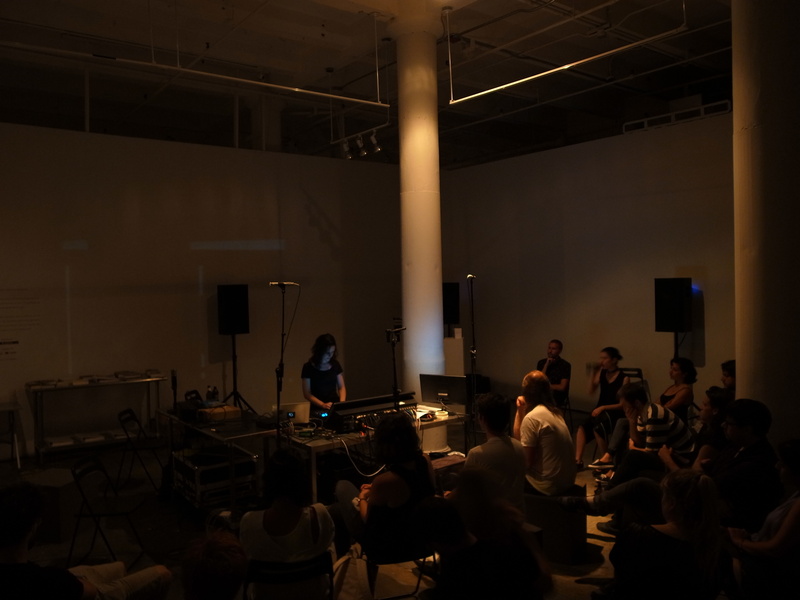 She is a sound artist, musician and art historian, whose research and production lay in the field of sound art. She composes and produces music, using her voice, field recordings, synths and electronics, and is processing these materials in real time. ‘extended hymns’: : a string of vocal meditations expanded into multichannel space, processed into mutation; persisting, building, decaying, resolving. 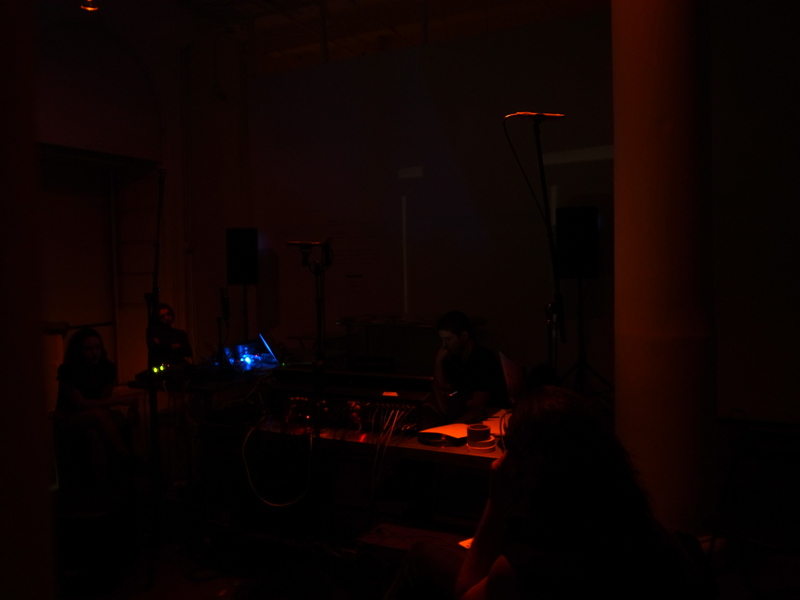 performing ‘Trama I’ – a sound piece spatialized during the sessions for a 9.1 sound system. Color Tones is a site-specific, generative sound installation that produces its sonic content in response to the sounds occurring in the space in which the piece is installed. Comprised of slowly shifting tones and textures diffused over a multichannel sound system. 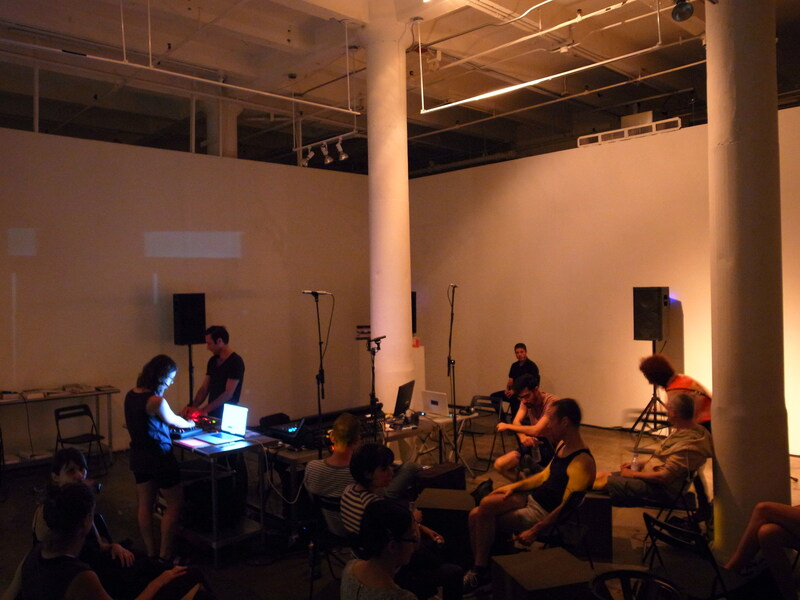 Brett Sroka’s ‘Sine Qua Non’ is an electro-acoustic performance that transforms into a generative sound installation, at Fridman Gallery, August 28, 8pm (performance) 29-30, 12-6pm (installation). This third iteration of the piece will feature singer Alicia Hall Moran, acclaimed for her work in Porgy & Bess, the 2012 Whitney Biennial, and collaborations with Bill T. Jones, Carrie Mae Weams and her husband Jason Moran, among others. 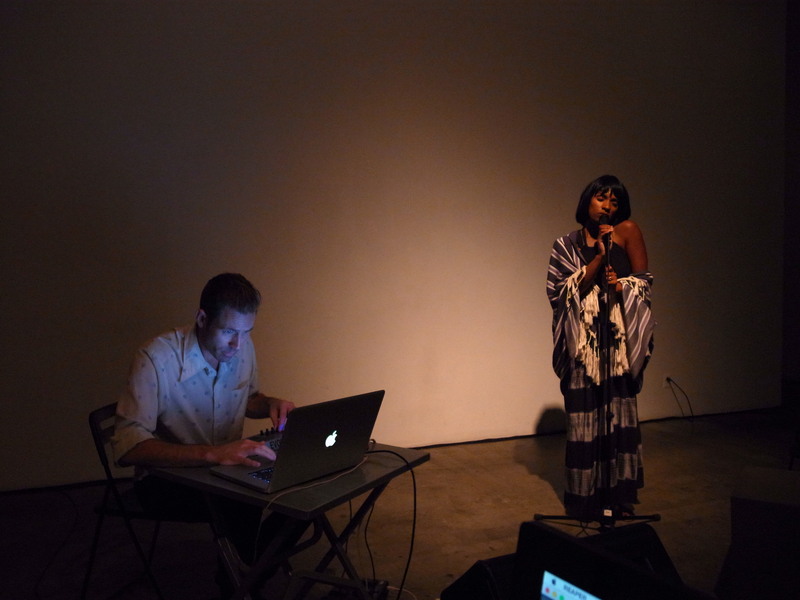 In something like a Mobius strip of sonic ideas, Hall Moran is sampled and processed live by Sroka with a Max/MSP software instrument, her singing becomes her accompaniment and foil and the improvisation develops through electronic abstraction and acoustic response. As the performance concludes the sampled fragments slowly take over, and continue to evolve via generative processing. 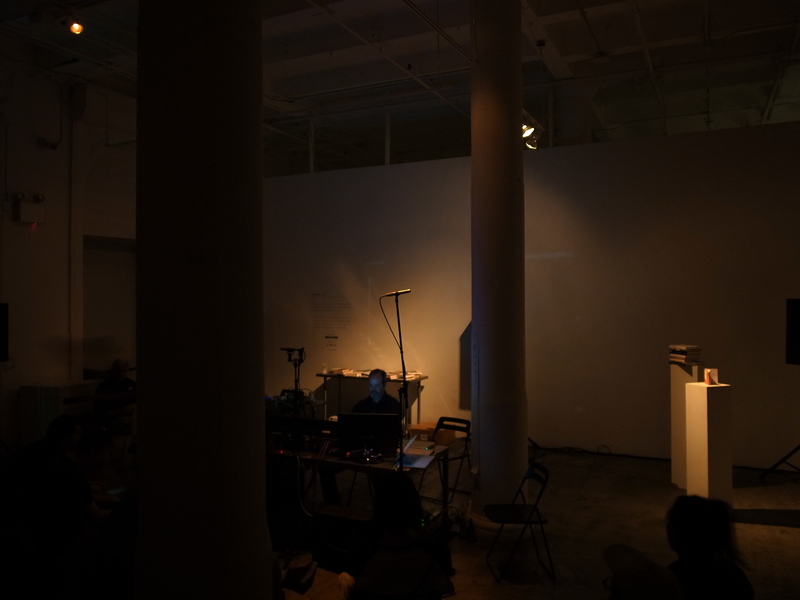 Seven unique outputs of the Max/MSP instrument are each mapped to a separate speaker, immersing the Fridman Gallery in an ever-changing abstraction of the performance over the following two days. Installation will be on view Sat, 8/29 and Sun, 8/30 from 12-6p. 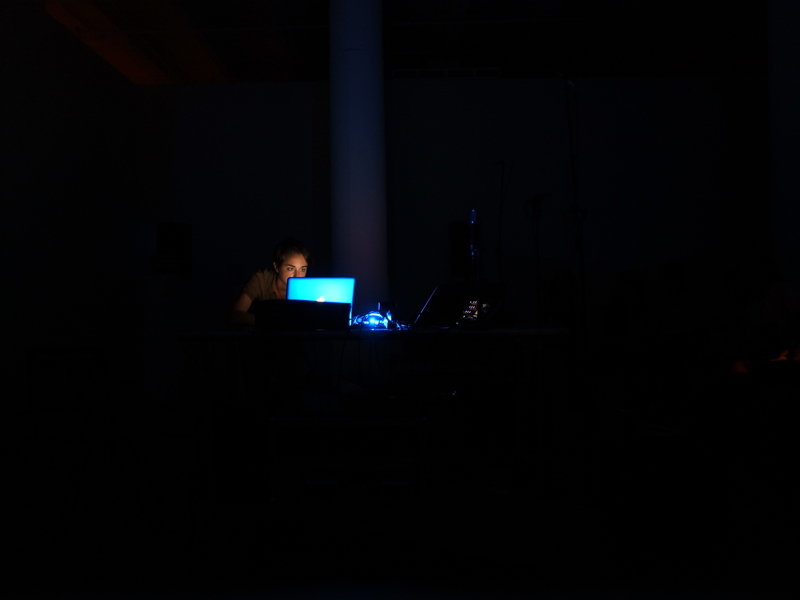 ‘Light Things, Solid Things’ – A sound project by Leah Beeferman and Alfons Knogl, presented in 8 channels. A collaborative speculation about material, solid space, and what is tangible. In this eight-speaker spatial sound work, language is the element of heated tension always brewing beneath, and yet never surfacing. 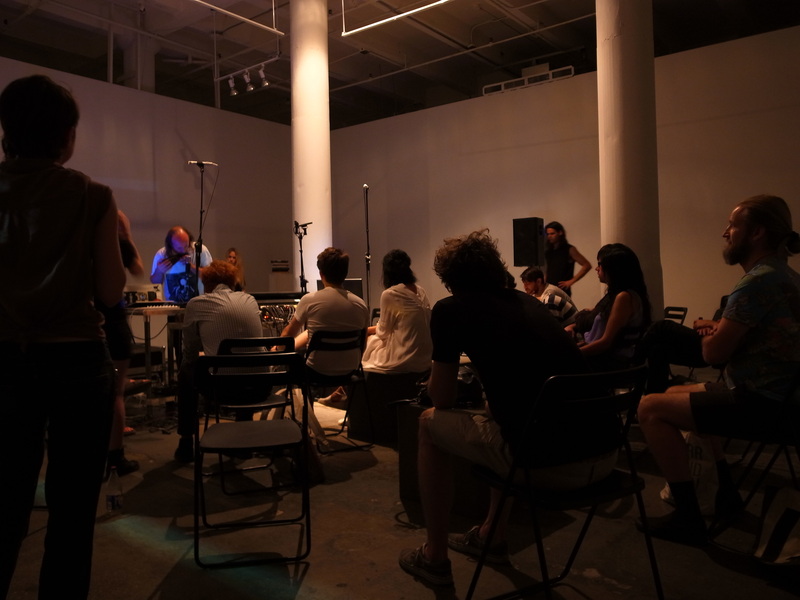 For the duration of this improvised, collaborative, spatial sound performance, both vocal and instrumental, these artists and writers eschew any form of spoken or written languages via human or other technological means. Here, in this darkened room, semantic content is on hiatus. This performance is defined by its absence of text, an ever widening and collapsing lack of linguistic enunciation. The only question is: UN-LANGUAGE: is it literary? Kamron Saniee is currently a data scientist living and working in NYC. School of Visual Arts with an MFA in Computer Art. Germany, France, Italy, South Korea, and Japan. 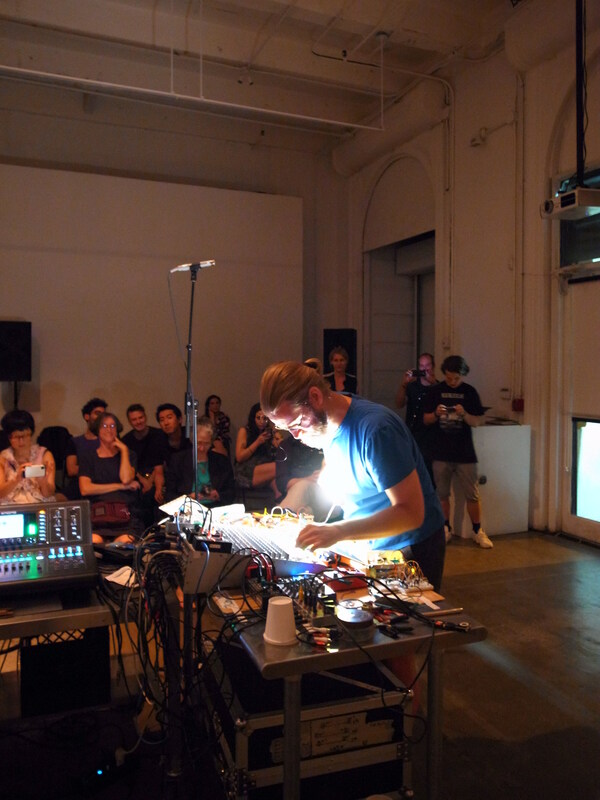 Richard Garet will present a variation of his piece Mnemonics: for Space Invaders. This work is an 8.1 channel surround audio environment where visitors are welcomed to move around within the space and redirect their listening experience as they shift their positioning within the environment. 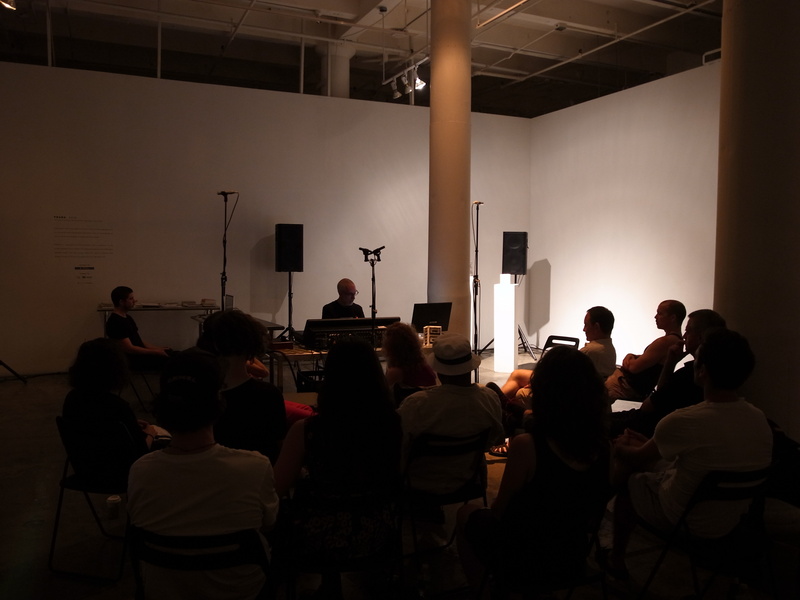 However, for this special occasion at the end of Daniel Neumann’s summer residency at Fridman Gallery, Garet opened the piece for Neumann to join in and work his sounds in conjunction throughout the system. This work incorporates ideas inspired from the city’s noise-debris that comes from all directions and invades one’s ears. A mnemonic as a device can be considered a thing or a system that retains information and subsequently creates a memory or memories of something. Space Invaders references both the sounds and visitors taking up space and time. The transitional conditions of this piece welcomes both focused listening and social practice to activate the environmental properties of the space. For two weeks in August the gallery will be turned into a Temporary multi-channel sound studio and rather informally provide an infrastructure for various presentations, experiments, studies, concerts and exchange around spatial sound composition. 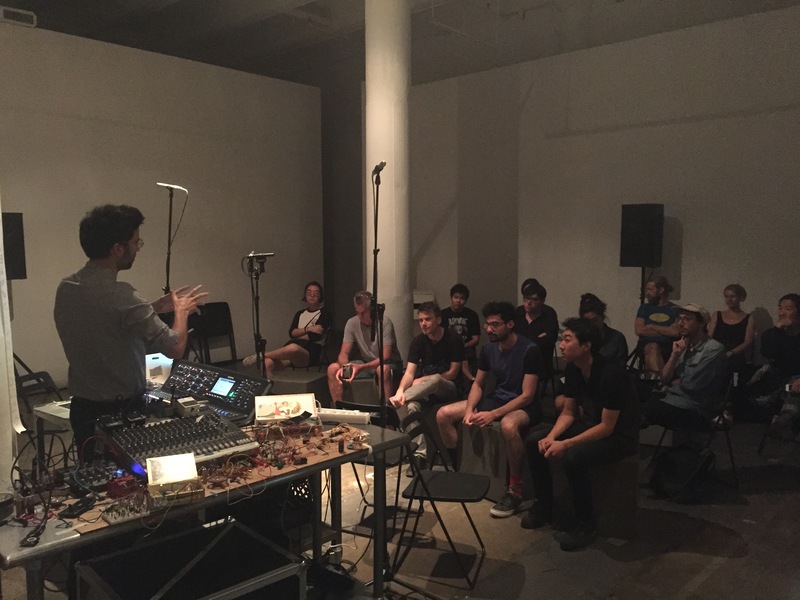 Daniel Neumann, CT-SWaM founder and himself an accomplished sound engineer, is inviting you to join him at this studio to either develop a project, listen to existing pieces, read from the library, or just have a chat. This is an expansion of the workshops conducted earlier this year around the topic. The sessions aren’t free, but also don’t have a price tag. So please make an offer, barter, trade, contribute, donate, de-capitalize, and please be reasonable. 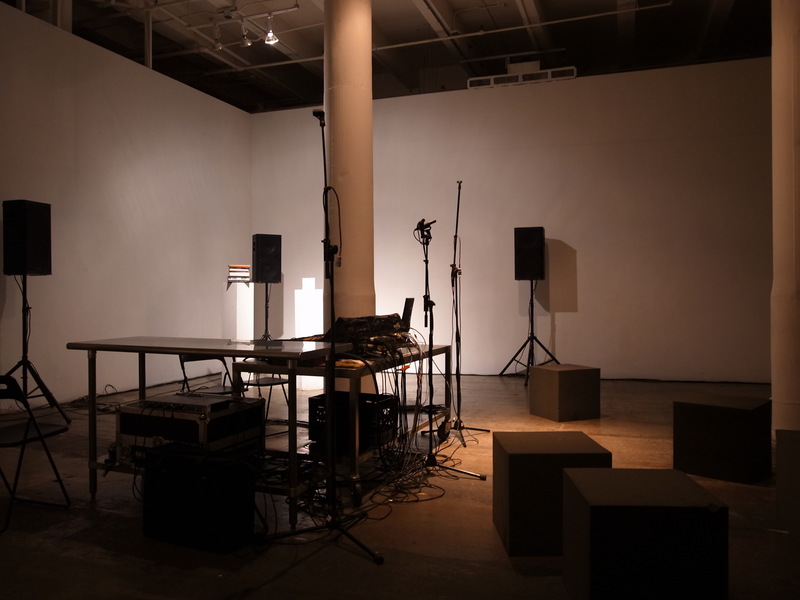 The system provided will consist of 8-powered loudspeakers and a Midas M32 desk for spatialization. The sessions will take place in the evening hours or on Sundays.